what a great shot. beautiful lighting and color. -. I so rarely see snails here in Bellingham, and, sorry slugs, but you’re just not nearly as photogenic. – Because I so rarely see snails, I almost stepped on it, and it would have taken me a long time to recover from the trauma of the crunch and smoosh. 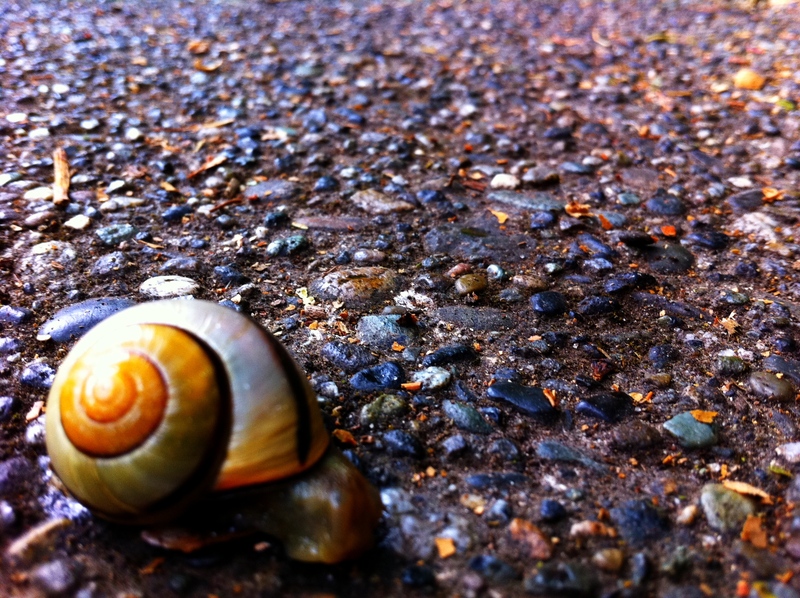 – The iPhone doesn’t always do well with close-ups, and the snail is even blurrier than I’d prefer, but overall it works.